I am a COACH and I want to register one or more of my divers for a meet. How do I do that? 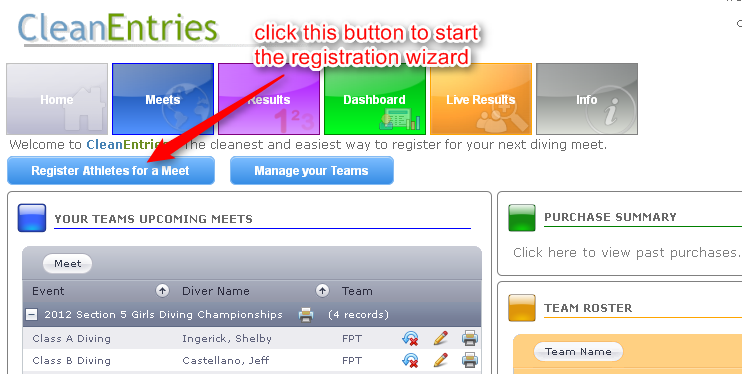 In order to register a diver for an upcoming meet you need to run the registration wizard. The registration wizard is available from your Dashboard. From your Dashboard just click the button 'Register athletes for a meet'. The wizard will take you thru the registration process step by step.